The Lucky Bishops - "Unexpect the Expected"
The UK psychedelic popsters are back with their third album. And while its crazy title may suggest something different, this is more or less just what we would expect to hear from the Lucky Bishops. For the uninitiated, that's a collection of well produced, immaculately played, lightly psychedelic pop tunes. And when I say pop, I don't mean the over synthesized, beat heavy pop of today. 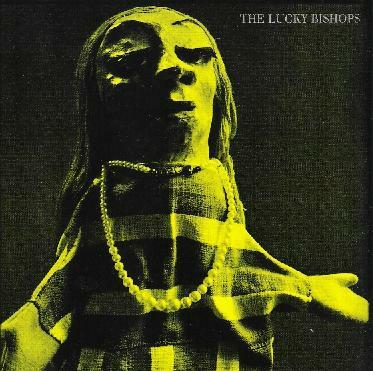 No, the Lucky Bishops are firmly stuck in the 60's, with bright songs and sunny sounds reminiscent of The Byrds, The Kinks, and The Beach Boys, all wrapped up in lovely Beatles-style harmonies and mild psychedelic flourishes. It's a splendidly pleasant, easy listen, if not a terribly innovative one. The band do step out occasionally though, such as on the acoustic, Spanish piece Guia De Conversacion, and the brooding, mildly experimental Witches. But for the most part, Unexpect the Expected is the perfect kind of music for sipping lemonade to on an easygoing summer day. For more information you can visit The Lucky Bishops web site at: http://www.theluckybishops.com. Hear The Lucky Bishops at: http://www.myspace.com/theluckybishops.